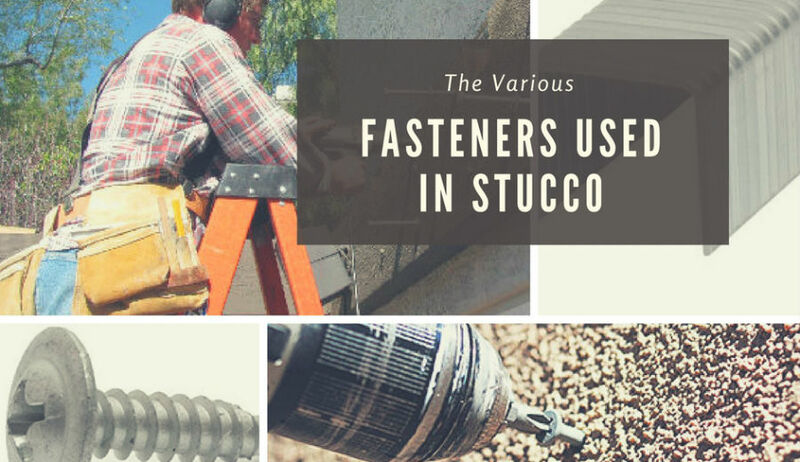 There are so many different types of fasteners used in lathing. 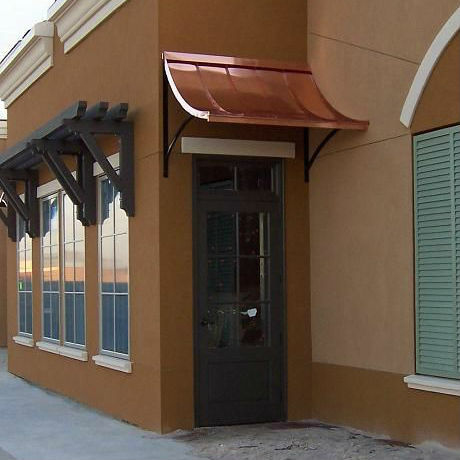 Stucco can be applied to virtually anything, so different substrates require different fasteners. Let’s take a look at some of the various types to get a better understanding of the different types and what they are used for. ​Staples – These are the recommended and code enforced method to attaching the wire to the paper or foam. They have a wide crown and come in different lengths to meet the required depth of the specific stucco system you are using. For instance, I will commonly use 1 1/4" long staples for a three coat stucco process and 2" staples for a one coat stucco s​ystem. ​A special staple gun is used to fasten the staples to the wall and the only thing that is really "special" about it is that it can fire wide crown staples, which usually have a 1" or 15/16" crown staple through it. These are somewhat hard to find and I have bought staples through Amazon's website before, which is massively convenient and the prices are very similar, so it works out. Three Coat Stucco Staples: I wanted to include some very SPECIFIC links for the type of staples that are used for a three coat stucco system, to avoid any confusion. These are 1.25" in length and you usually are required to have at least a penetration of 3/4" into a stud (check local building codes), so adjust accordingly, if you are using thicker sheer. 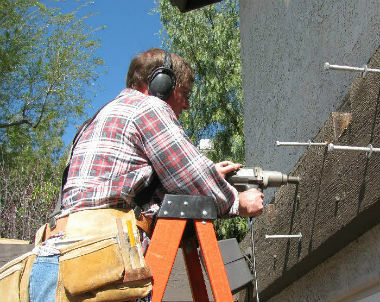 ​One Coat Stucco Staples: ​Here are two SPECIFIC links for the staples used in a one coat stucco system. These are 2" in length and you want approximately 3/4" MINIMUM to penetrate into a stud (check local building codes) and adjust accordingly. ​Nails – There are two specific types of nails used in the lathing process involving wooden substrates. One is made for the three coat process and the other is intended for the one coat process (aka, two coat stucco). 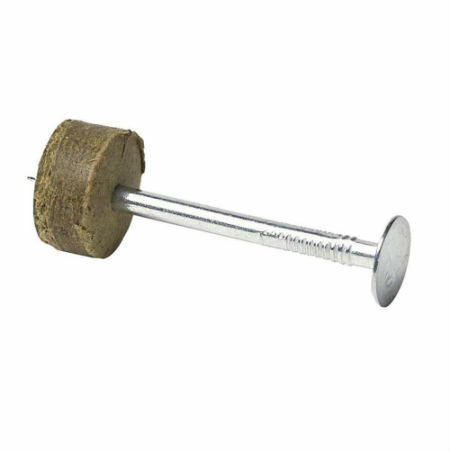 ​4 Penny (aka 4d) Nails – For three coat stucco, galvanized 4 penny nails are the common choice, seeing as how they are the proper length for stucco wire. These are nailed in about three quarters of the way and then bent over the wire to secure it in place. The head of the nail is way too small to hold down the wire, so bending them over eliminates this problem. ​These are widely available at many big box stores and are still very common so they should always be in stock. Just in case you have problems finding them, for some reason, you ​can always find them online for the same price (or a matter of a few pennys), just fyi. 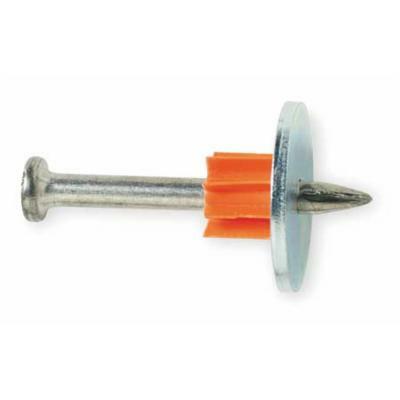 ​Roofing Nails – These are used for one ​coat stucco applications mainly, roofing nails are a better choice because the head of the nail holds the foam down and the wire at the same time. 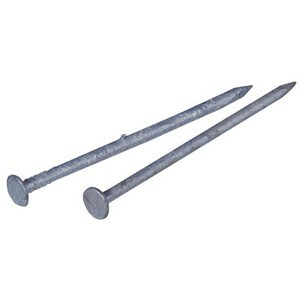 These are typically "electro-galvanized" and they have a shine to them, like the nail shown on the right. 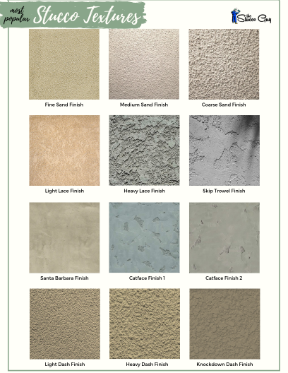 They come in a variety of lengths, but are typically 1 3/8" – 1 3/4 " for most stucco applications. Hanging weep screed and plasterstop is also a good use for these nails. ​Self Furring Nails – These have a spacer on the nail that “gaps” the wire off of the wall so that the cement can key in behind the wire. The spacer you see on the right will go between the substrate and the wire to create a gap about a quarter inch in size. These are not typically used nowadays because the wire is furred instead. It is much easier to apply the wire ​when it is per-furred and these nails are no match for modern day staples, as far as grip is concerned. ​I have noticed that some home improvement stores sell these but I have looked and found nothing before too, so it is a toss up, depending on which store you are at. I did find them online, for a decent price too just in case you want to go that route instead. Nails: There are a couple of different kinds that are used for concrete and masonry surfaces. They are much stronger than the average nail and can take quite a bit of abuse without breaking or bending. ​Masonry Nails – These are stronger than typical nails, they are thicker and hardened in order to penetrate harder surfaces such as concrete and cinder blocks. The picture on the right shows a fluted type of masonry nail, which hold a little bit better because of the lines on the shaft of the nail. These can come in a galvanized and non-galvanized finish but I always go with a galvanized fastener, by any means to prevent corrosion from eventually occurring. 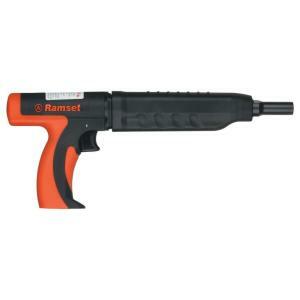 Ramset Nails – These are very strong nails that are shot in using a special type of tool that actually shoots the nail into a hard surface, like concrete. The picture shows one of these nails with a washer, which is recommended and a 1" nail works great! 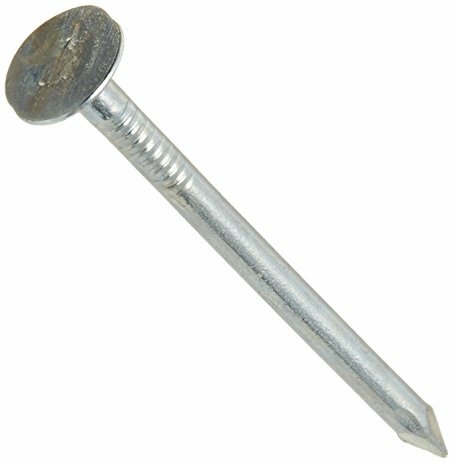 ​From my experience, whenever I have to attach lath to concrete, I have a hard time finding enough of the 1" nails with the washers at one store, I usually have to go to multiple stores to get enough boxes because they only seem to carry a certain amount. I now just order them online (ahead of time!) to make sure that I have enough and the price difference is really minimal too, so not a big deal there. 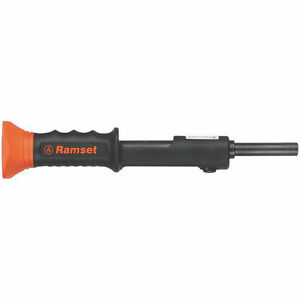 ​Ramset Guns: The special tool can take many different forms and they range in price too, from about $30, all the way up to $250 or more! The more you pay, the more "user-friendly" the tool usually is, that's what my experience has been anyways. 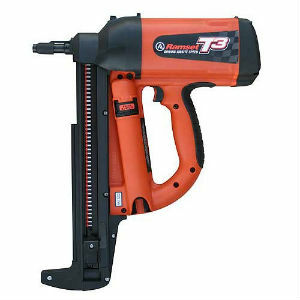 Check out some of the different Ramset guns ​to see if they would work for you. I found that Home Depot or Lowes has them but when I looked online, there were more variety to choose from. ​Screws – These are used when nails cannot be utilized, or when constant pressure is need at all times, like installing weep screed or plaster stop on a hard surface. 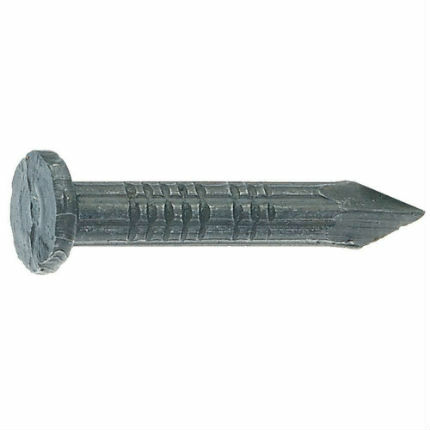 Concrete Screws – These are designed to grab the concrete and provide a secure contact point on any type of masonry surface. Some may require pre-drilling in order to get them to penetrate the surface. 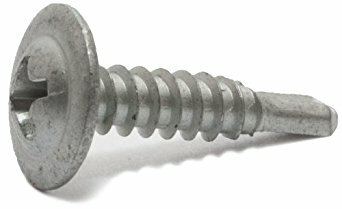 ​The image I chose is probably not the best screw to use because of the head but they do make concrete screws that have a washer attached to the head that will work better for holding down the wire lath and I always get extra drill bits, just in case I break one or two or three! ​I know that some buildings are framed using metal studs and these are typically found in commercial construction. These will have to have wire attached to them, just like any other stucco project and will usually have some type of screw that attaches the wire to the studs. ​Most of the time, you will be using a self-tapping galvanized screw that has a wider head attached to it, like the one shown on the right. These are self tapping and usually will not require pre-drilling but it depends on how hard the substrate is. A 1" to 1 1/2" screw is usually adequate. ​Outdoor Hooks: These come in many different sizes and colors that can match nearly any "theme" that you have on your home and will not stand out like a sore thumb like some of the earlier versions would. They have hooks that can hold different amounts of weights too from 2 lbs. all the way up to 5 lbs. They do make hooks that can hold lighter weight too, but the majority of people are more concerned with the maximum weight they can hold, from what I researched. ​An old fashioned screw is considered a medium duty fastener and works pretty well. A nail could also be used which has a higher shear strength to it for heavier items. I am not sure of an exact weight rating but I would guess somewhere between 10 - 20 lbs and more if installed correctly. This will require some pre-drilling, using a masonry bit for your drill, just be sure to get a decent one to make it easier on you and your drill. ​You can use just about any style hook you want to use but since this is considered a medium-duty fastener, I would recommend going with a metal hook of some sort that can withstand the elements. 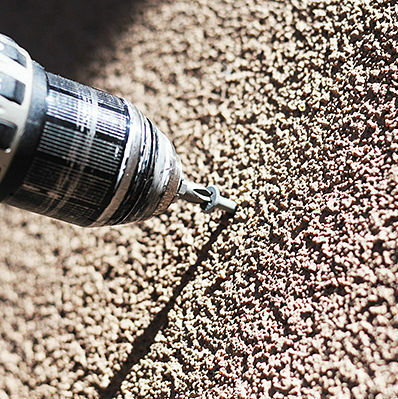 Be sure to caulk the hole (using a decent and easy to work with caulk) before drilling the screw into it and use a galvanized screw (or something similar) to prevent corrosion and staining from occurring. 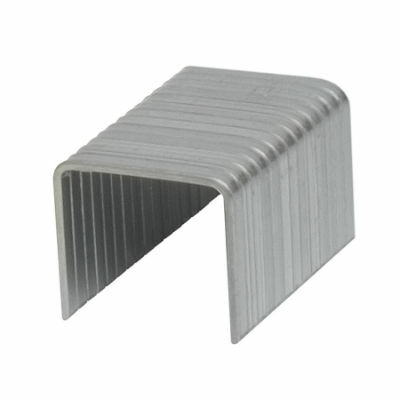 ​These are the top of the line fasteners and will hold tremendous amounts of weight. If you have a sun canopy installed, for instance, you will want to use these types of fasteners. These are like the medium duty fasteners but have a larger diameter and are usually longer, so they can hold heavier items. The picture on the right illustrates some of the larger and heavier things that can be mounted onto a stucco wall if the right fasteners are used. 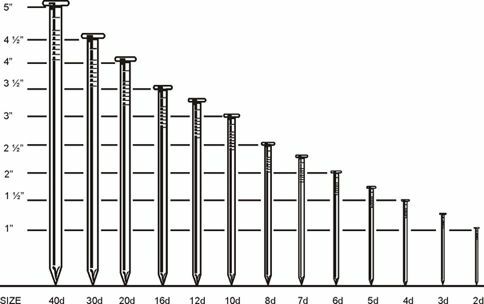 ​Lagbolts: These are the most common type of fasteners used to hold up larger items and come in different lengths and diameters. I included a picture to illustrate how these work and how you drive them into the stucco. The man in the picture is using an electric powered impact driver that is specially made for these types of jobs and can take the abuse, which is an important factor if you are driving this many lag bolts in a short period of time. ​Did I miss anything? Let me know in the comments below. I will constantly be adding to this post as new ideas and products become available, so any and all feedback is appreciated.